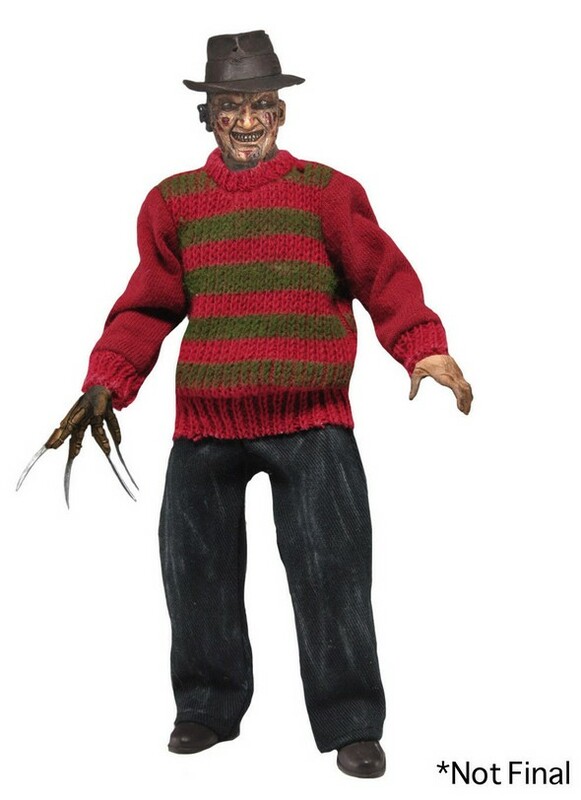 Get your retro fix with this brand new version of horror icon Freddy Krueger! This poseable 8″ figure is dressed in tailored fabric clothing similar to the retro toy lines that helped define the licensed action figure market in the 1970s. Freddy is based on his appearance in the original Nightmare on Elm Street movie. He comes with a removable hat and his trusty razor glove, and is entirely faithful to the movie. Blister card packaging with removable protective clamshell. They also posted an image of the preliminary model which you can view below. NECA’s page for the figure can be found here.